In celebration of Bates Motel, the contemporary prequel to the iconic film ‘Psycho’, PANTONE have team up with A&E networks to add a unique neon metallic shade of blue to their extensive range of colours. The colour, named ‘Bates Motel Blue’, is a reference to the iconic Norman Bates, the main protagonist in Psycho whose favourite colour is the exhilarating shade of blue that was used to paint the iconic Bates Motel sign. Fans of the series will appreciate the symbolic nature of the colour, which is supposed to represent ‘truth’, whilst the show’s main themes are based upon mystery, lies and deceit. The collaboration between PANTONE and A&E networks was a result of a desire to create a distinctive shade in a unique medium, in honour of this world renown pop culture icon. Considered the world’s most universally loved colour, the shade of blue used is meant to represent constancy and credibility, with users able to engage this colour with a character that holds a firm place in pop culture. The Bates Motel Blue isn’t the first colour in the range with such a unique name, since PANTONE introduced the ‘Minion Yellow’ over two years ago, and have an eclectic range of colours with names such as ‘Fuzzy Wuzzy Brown’ ‘Razzle Dazzle Rose’ and ‘Macaroni and Cheese’. This entry was posted in General News, Pantone and tagged Colour, colour guides, Pantone on August 4, 2017 by Color Confidence. Get cash back with the PANTONE Trade & Save scheme! It’s now even easier to get the most complete and accurate PANTONE tools that you need to get your job done accurately – while getting cash back in the process! The PANTONE Trade & Save scheme gives you the chance to trade-in any out-of-date PANTONE guides, in exchange for up to £45 cash back on selected PANTONE PLUS products. Whether you are a designer, product manager, printer or a colour decision maker, the scheme makes it easier for you to stay up-to-date with the latest PANTONE products. 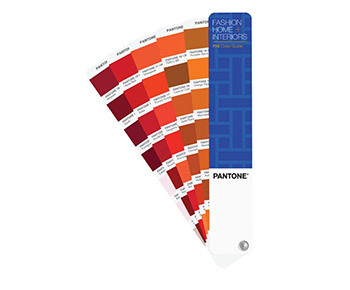 Why upgrade your PANTONE guide? 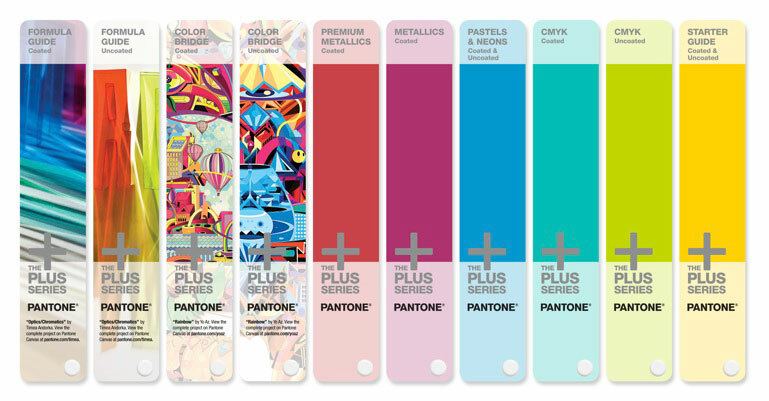 PANTONE has recently launched some exciting additional colours to the PANTONE PLUS SERIES. The new colour palette has been developed to inspire exploration and creativity. The addition brings the total colour count of the graphic design PANTONE PLUS SERIES to 1,867 colours. Also, although PANTONE strives to manufacture products at the highest level of quality possible, the fact is that over time, all papers will yellow and inks will fade. In order to ensure you have the most accurate colour for specification and evaluation, PANTONE recommends that you replace your guides and books annually. 1. Purchase a brand new PANTONE guide from colorconfidence.com. 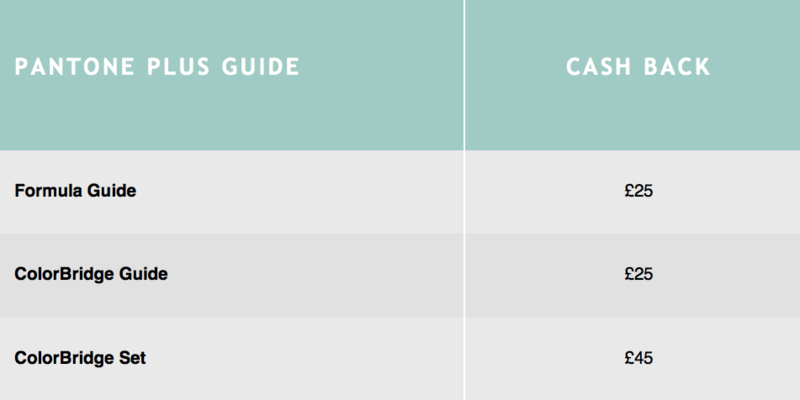 Eligible guides are included in the table below. 3. Your cash back will be refunded into your account. On receipt of your guide(s), we will check them and arrange for the cash back to be refunded to you within 5 working days. Don’t let out-of-date colour guides get in the way of you realising your creative vision. Upgrade your PANTONE guide today! The Trade & Save scheme ends on 14th August 2016. All trade-in guides must be submitted by 31st August 2016 to be eligible. The trade-in should be a minimum of a single PANTONE fan guide and at least 90% intact to qualify. This entry was posted in Color Confidence Range, Colour Reference, Pantone and tagged Colour Management, Pantone on July 11, 2016 by Color Confidence. If you want to get your colour right – and make the most of it, then it is best to work with the experts. Color Confidence is a leading Pantone supplier. As such it is in the enviable position to provide knowledge to customers about which guide is right for them. After all, with a comprehensive line of colour tools including guides, chip books, software and measuring devices, it has something for everyone whether printer, converter, designer and creative, marketing agency or brand owner. Pantone components include the Pantone Plus Series for graphics and multi-media; the Pantone Formula Guide, a colour guide for designers, printers and decision makers, which features solid colour choices on both coated and uncoated papers; Pantone Solid Chips, which show colour in a convenient chip format that you can apply to artwork and digital files; and the Pantone Colour Bridge that shows process colour simulations of all solid Pantone colours – in a convenient side by side comparison format. Understanding which product is right for your business may seem a little confusing. So, understanding how to choose the right Pantone product will help your creative processes – and here again Color Confidence can help. Solid effects products: Pastels and Neons, Metallics, Premium Metallics. Solid effects products: Pastels and Neons. Premium Metallics. Process colour products: Color Bridge, Coated Combo, CMYK Guides. 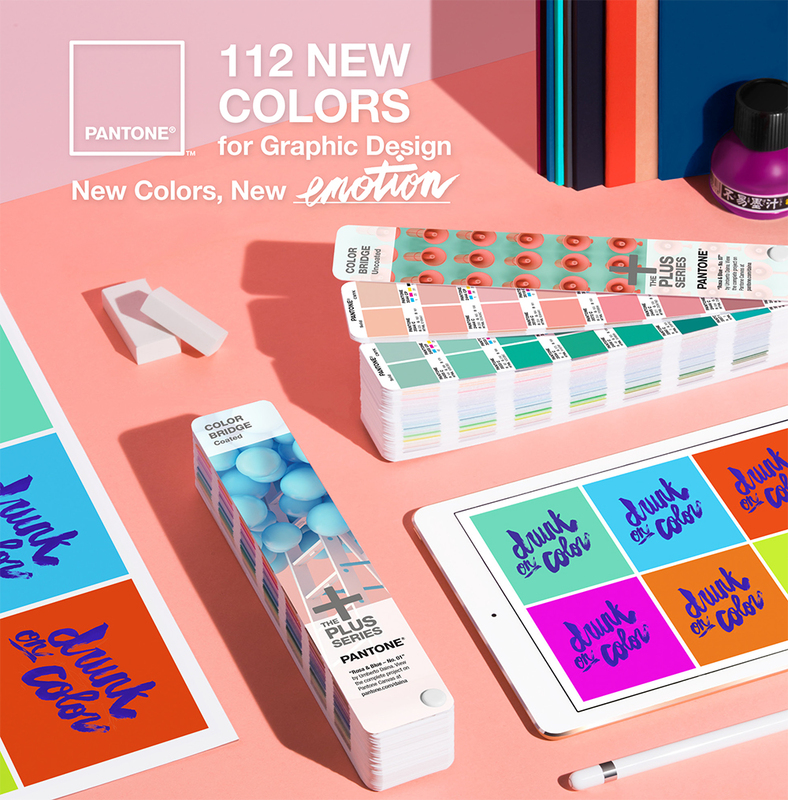 Pantone has recently added 112 new colours to its portfolio. The total count is now 1867 colours. Branded as ‘New colours, new opportunities’, the refreshed, trend led palette serves as an important signifier of new ‘cultural and social influences on the overall movement of colour’. During product development, Pantone surveyed hundreds of designers across graphics, packaging, print and web design. The findings indicated a desire for more ‘blushes, blues and neutrals’. This sits with the Pantone colours of the year for 2016 – 15-3919 Serenity and 13-1520 Rose Quartz. PANTONE case study written by Print Solutions magazine. This article can also be found in issue 27, page 28 of Print Solutions. Read more here. This entry was posted in Case study, Color Confidence, Colour Reference, Pantone, Printing and tagged Color Confidence, Pantone on June 14, 2016 by Color Confidence. PANTONE has launched a new colour communication guide that bridges the gap between CMYK and spot colour printing. 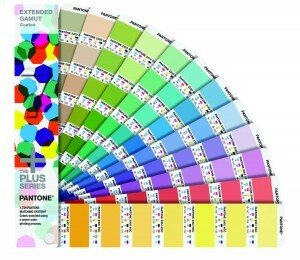 The new PANTONE PLUS SERIES Extended Gamut Coated Guide has been created to help brand owners; designers, prepress professionals and printers to determine when it may be possible to more accurately reproduce a solid PANTONE colour using CMYK + PANTONE XG Orange, Green and Violet (OGV) Inks. The PANTONE Extended Gamut Guide is a visual, seven-colour printing simulation of the 1,729 existing PANTONE MATCHING SYSTEM® colours. Printed with an extremely high-quality, seven-colour printing process, the Extended Gamut Coated Guide uses existing Cyan, Magenta, Yellow and Black (CMYK) inks, plus commonly used Orange, Green and Violet (OGV) inks that ‘extend’ the colour gamut significantly. The new PANTONE Extended Gamut Guide will allow designers and printers to achieve approximately 90% of all PANTONE MATCHING SYSTEM spot colours through the seven-colour process system. The PANTONE guide was developed in partnership with Esko, the global supplier of innovative printing solutions and packaging software, and Disc Graphics, an award-winning creative packaging printer. Each page of the PANTONE guide has been replicated and numbered to mirror that of the current PANTONE PLUS Series Formula Guide, so a designer or printer can quickly and easily compare the original spot colours to the new extended gamut reproductions. Each colour identified with a distinct PANTONE EXTENDED GAMUT Coated (XGC) number and/or name. The PANTONE Extended Gamut Coated Guide is available to purchase from Color Confidence – Europe’s leading colour management specialist and distributor into the digital imaging markets. For more information about the PANTONE range, visit www.colorconfidence.com. This entry was posted in Color Confidence Range, Colour Reference, General News, Pantone, Printing and tagged Color Confidence, Graphic Design, Pantone, Printing on October 15, 2015 by Color Confidence. We are pleased to announce the launch of our new Pantone ‘Trade and Save’ programme, which offers existing customers the chance to trade–in their old Pantone guides, in exchange for up to £100 cash back when purchasing a new Pantone product. 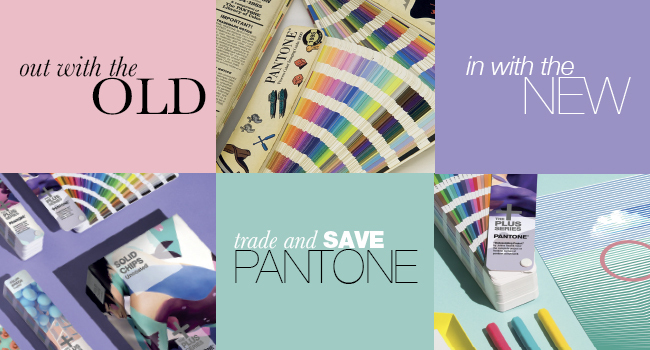 The Trade and Save incentive scheme makes it easier for designers, product managers, printers and all other colour decision makers to stay up-to-date with the latest graphics products from Pantone – the world leader in colour standardisation and communication tools. “The Trade and Save incentive scheme has been devised to give people that value colour as much as we do, the encouragement to update their Pantone guides,” says Simon Prais, Technical Director at Color Confidence. Pantone prides themselves on using only the finest paper substrates for their multimedia graphic tools. But the fact is, all paper stocks yellow over time, from exposure to air or sunlight, or simply from use, which changes the appearance of the ink’s colour. For this reason, Pantone recommends replacing your colour guides frequently. The Trade and Save scheme is made up of three easy steps. The Trade and Save scheme ends on 31st July 2015. For more information, visit www.colorconfidence.com. This entry was posted in Color Confidence, Color Confidence Range, General News, Graphic Design, Pantone, Printing and tagged Color Confidence, Graphic Design, Pantone, Printing on June 16, 2015 by Color Confidence. This Spring, treat yourself, your office and your clients to a Pantone Capsure device, to accurately measure colours wherever you are and refer them to the closest Pantone match. 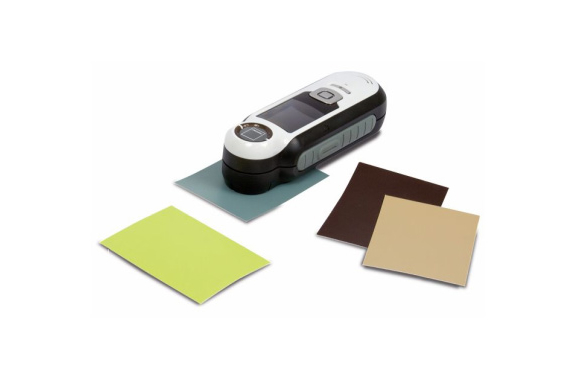 This post will explain all the features of the Pantone Capsure and explain how this device can benefit and aid you on your colour management journey. The Pantone Capsure allows you to confidently and accurately capture colour from any surface and match it to the closest official Pantone colour. The Capsure is loaded with over 8,000 colours from 8 different colour guides and the colours you capture can be directly matched to any of these guides for prime accuracy. The Capsure is ideal for all creative industries; allowing creatives to use the Capsure portably to match any surface to a Pantone colour, create colour palettes or descriptive mood boards for any project. The screen on the Capsure is 1.75 inches and has a variety of settings, along with providing the page number, sRGB, Adobe RGB, Lab, CMYK and HTML values to the corresponding Pantone guide. The Capsure uses camera technology to pick up not only spot colours, but also can extract multiple spot colours from patterns and textures. The Pantone Capsure comes with Color Manager software. This allows you to import your colours to the software and create colour ways and palettes. Palettes can be fully integrated and exported quickly and efficiently to Photoshop, Illustrator etc. 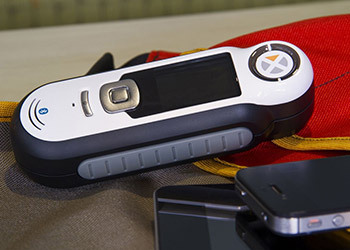 The standard Capsure is updated via USB, giving you the ability to update your libraries, and is also available with Bluetooth. Using the Pantone Capsure with any of the Pantone Guides will give you the best opportunity to capture any colour and instantly reference it to your guides, giving you accurate colour management and specification on any project you are working on for Fashion, Home and Interiors or Graphics. Don’t forget, with the brand new set of Pantone Plus graphics colour guides, there is a guide for each member of the creative industry. Take a look at your Pantone Buyers Guide from our last Pantone newsletter, which explains guide by guide which is the most appropriate for you! There is a guide for each member of the creative industry, allowing for any project or design to be executed from start to finish with an accurate and effective workflow. Order your Pantone Capsure direct from us today. 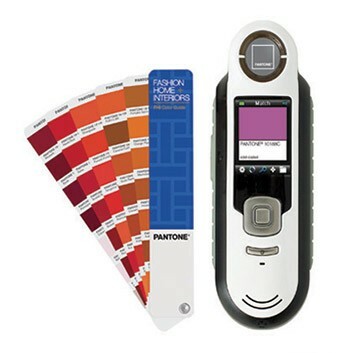 Click here to see the Pantone Capsure and click here for the Pantone Capsure with Bluetooth. Click here to be taken to the Pantone guides and see where your creativity can take you! This entry was posted in Pantone and tagged capsure, colour guides, Pantone on May 14, 2014 by colorconfidence. Come and visit us at IPEX! Following our last blog explaining the launch of the Pantone Plus graphics guides updates, we wanted to alert you of Pantone’s presence at the ExCel center at the IPEX convention this week! Join them there to see the new products and their updates first hand, ask questions and use the opportunity to widen your knowledge of colour management even more. The Pantone Plus launch brought with it, the brand new reveal of 84 new colours, a new and improved colour order for the guides and brand new covers to liven up your colour specifying. These features will give you and your office an even wider variety of colours to work with to the best of your ability, and the confidence you need to manage your colour accurately. Pantone will be on stand N2-D210 with Just Normlicht. This will also give you the opportunity to see and learn the importance of lighting when it comes to choosing your colours correctly and accurately. Just Normlicht will be showcasing a range of viewing booths and soft proofing booths. 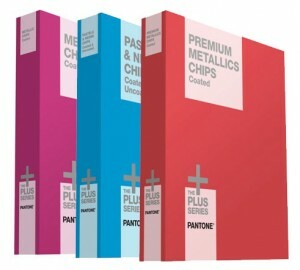 To go to the new Pantone Plus Product range click here for color guides and here for chip books. REMINDER: Special offer of free delivery on the new set of Pantone Plus graphics products will finish at the end of the month (31st March). This entry was posted in Pantone on March 25, 2014 by colorconfidence. Pantone Plus New Product Launch! Following the announcement of the Pantone Color Of the Year 2014- Radiant Orchid, Pantone have launched an update to the Pantone Plus graphics range of colour guides and chip books. 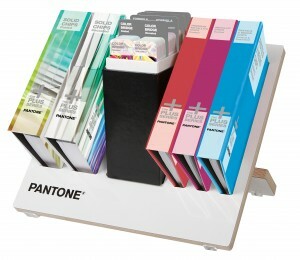 Treat yourself and your office with a brand new up to date set of Pantone Plus Color Guides. This post will clearly identify all the changes and benefits of the update. This will give you the knowledge and confidence you need for accurate and enjoyable colour specification and control throughout your workflow. 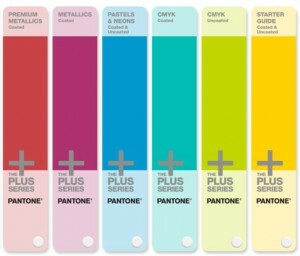 Pantone have changed three key elements of their Pantone Plus range: the addition of 84 colours, the order of the guides, and the covers of the guides. A key benefit of the new guides is the addition of 84 new colours to the range. This increases the number of Pantone spot colours from 1,677 to 1,761 colours. These new 84 colours feature a wider variety of shades and hues in purples and pinks (relevant to Pantone Color Of the Year- Radiant Orchid) and more vibrant blue and green colours. Having the extra 84 Pantone spot colours allows you to broaden your palette even further and work with an up to date set of, fresh and innovative colours. You will be able to create projects to their full potential and give your clients and colleagues the confidence they need to make colour decisions accurately and positively. Along with the new colours, Pantone have changed the order of the Formula and ColorBridge guides to be presented in an organised chromatic arrangement, with all the colours in the correct order. The page sequence was last revised in 2010 and the subsequent addition of 336 new colours in 2012 and the 84 new colours of 2014 have been chromatically arranged within the new guides. When choosing colours, this logical order will aid you to make decisions based on colour families, and give you a better idea of which colours work together and don’t. A key visual change in the guides comes with the covers of the guides and chip books. Pantone held a competition and invited Creatives from all over the world to submit their work and selected four pieces of artwork to showcase on the covers. The Pantone Formula Guide and ColorBridge guide display the winning images. The Formula Guide Coated and Uncoated Guides have a different image, and each image has 7 variations. Your formula guide coated and uncoated will contain one of the seven sections of the winning artwork. The CMYK Guides, Premium Metallics, Metallics and Pastels and Neons guides all have new covers as well. The Metallic covers are in a metallic paper, similarly Pastels and Neons is Neon blue. The corresponding Chip Books for each of the guides have matching folders. Pantone Essentials, Portable Guide Studio and Pantone Reference Library will all remain in the same format as previously, but with appropriately updated guides and folders. Click here to see the whole Pantone Plus graphics range and get your guides to start confident and accurate colour management today. This entry was posted in Pantone and tagged Pantone on March 11, 2014 by colorconfidence. A great new year offer for our Color Confidence followers. 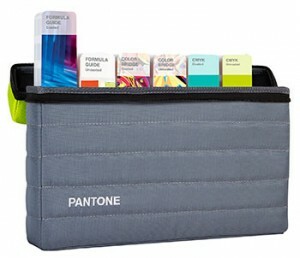 Treat your office to a fresh, up to date set of Pantone Plus guides in a convenient carry case. You will receive a 20% discount off the Pantone Plus Essentials, or the Pantone Portable Guide Studio. Alongside this special deal, we will also add a free ColorMunki Smile monitor calibrator that can be used for both home and office use giving you the confidence to viewing those holiday photographs, doing your online shopping and even some work, on an accurately calibrated screen. 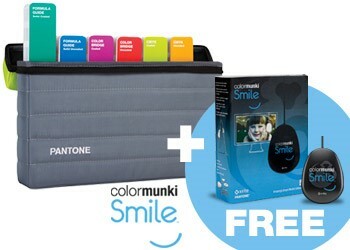 What’s more, with this special deal, we will also give you a free ColorMunki Smile monitor calibrator for both home and office use, giving you the happiness and confidence of viewing those holiday photographs, doing your online shopping and even some work, on an accurately calibrated screen. So, you might be wondering what the difference is between a Pantone Plus Essentials and Pantone Portable Guide Studio and how this will help you and your office achieve the best work you possibly can. Well, with either of these Pantone bundles, you are giving yourself and your co-workers the best for selecting, specifying and communicating colour effectively and accurately in industry. The guides contain all 1,677 Pantone Plus Series Solid spot colours, also the closest equivalent CMYK colours, and a further 2,868 CMYK colour variations, an essential set of colour guides when designing and communicating with clients in colour. These guides are all accurately reproduced on both coated and uncoated media. Pantone Plus Formula Guides contain all 1,677 of the Pantone spot colours with their mixing recipes, printed on both coated and uncoated paper. 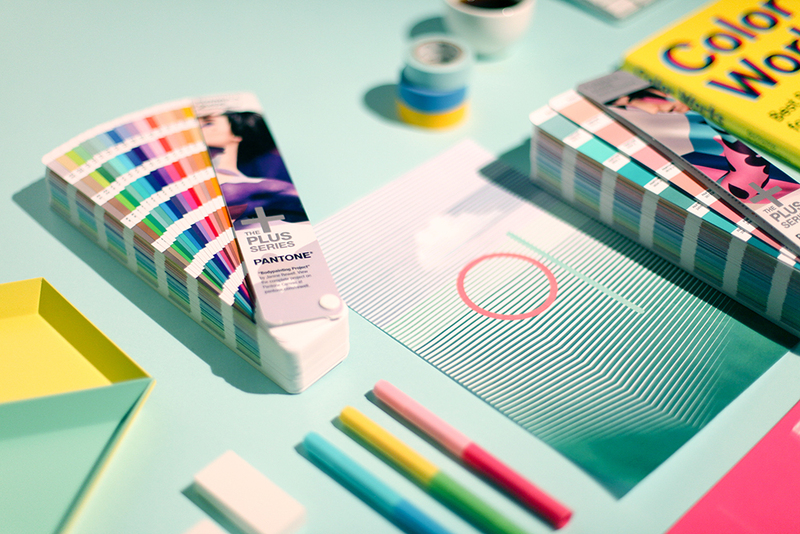 Pantone Plus ColorBridge are essential for designers. All 1,677 of the Pantone spot colours alongside their closest CMYK equivalent. Each swatch includes the sRGB and HTML value for each colour printed on both coated and uncoated media. Pantone Plus CMYK Guides contain an extended range of an additional 2,868 colours in process CMYK printed on coated and uncoated media. 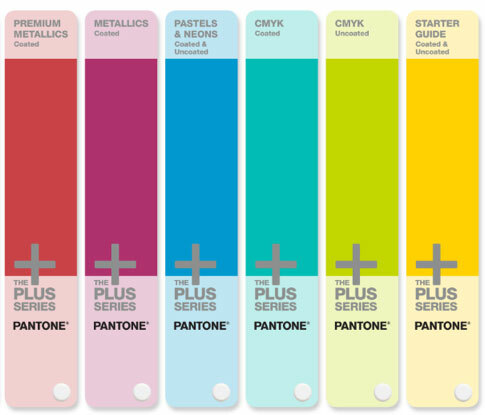 The Portable Guide Studio offers the complete selection of all Pantone Plus Series Guides. It comprises all six of the Pantone Essentials guides and also includes an additional three fan guides: Metallics, Premium Metallics and Pastel and Neon guides. With these three extra guides, you are expanding your colour palette and ensuring you have as many options as possible when creating your work. In the Portable Guide Studio you will have more than 9,000 market-proven colours allowing you and your office to communicate effectively throughout your industry. 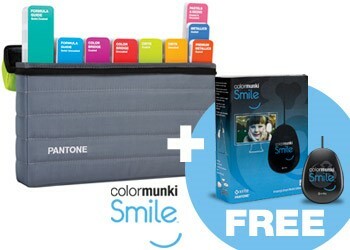 Along with all this, your free ColorMunki Smile is an easy to use monitor calibrator. It doesn’t require the user to have any colour science knowledge and is able to calibrate any LCD or LED display (laptop or desktop). It will provide you with a before and after image to show how effective and necessary an accurately colour calibrated monitor can be. The ColorMunki Smile is very quick, and is a great gadget to use at home and in the workplace. This offer will be ending on 31st January 2014, or until stock lasts. This entry was posted in Calibration, Colour Management, Colour Reference, Graphic Design, Pantone, X-Rite on January 8, 2014 by colorconfidence.